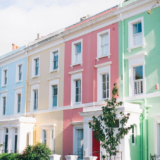 Harley street may be renowned for possessing some of the best treatments in the world, but what if we are in searching for a couple of treatments closer to home? 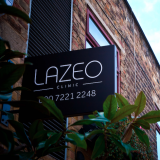 Well look no further than the Lazeo Clinic, it’s my one-stop-shop for all things skin related! 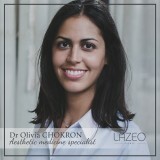 The charming Dr Olivia Chokron joined the Lazeo team in 2017 having exercised aesthetic medicine and medical biology. She is registered at the UK General Medical Council, is efficient in the latest aesthetic techniques, is passionate about helping patients feel and look their best, and has that all important Parisian lightness of touch when it comes to her treatments! Feeling and looking a little bit frazzled I was in search of a more relaxed, and rested appearance. So the doctor suggested microinjections of Botox which took less than 10 minutes, after which I was able to return to work immediately. The treatment was painless and works by targeting a variety of areas in the face by temporarily releasing the upper muscles of the face..the result? A distinctly more serene appearance. The results from this treatment began to appear 72 hours, and continued to increase to reach their maximum effect about a week later, Im told that they will last up to around four months. Hyaluronic acid injections are among the most important demands of the patients at Lazeo, and with results lasting as long as 12 months I can’t say that I am surprised. 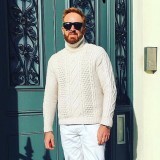 The active ingredient used in Juvederm treatments is already present in the body, and will allow the rejuvenation of the face for almost a year. This filling product has the enormous advantage of being very versatile, so creates a broad spectrum of possibilities in aesthetic medicine and combatting the progressive decrease in collagen, elastic fibres and hyaluronic acid in the face. My session lasted around 20 to 30 minutes with between 6 injections in total around the mouth area, and hey presto deep lines disappeared, and again I could return straight to work after the session. The results were immediate and can be tailored to my individual requirements. 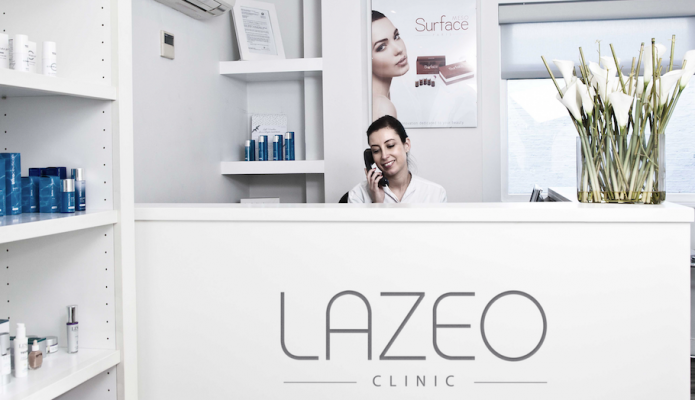 Combining minor skin treatments can sometimes be a minefield of major proportions but not at Lazeo. I was impressed with both the in depth advice which the Doctor gave me, and also how she was able to tailor each procedure to my individual needs. As the days turn into weeks, I continue to be suitably impressed by the subtle results she has produced. 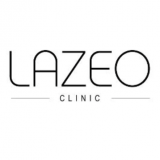 Available: LAZEO Clinic, 8-9 Lambton Place, Notting Hill, London, W11 2SH.